...and we tweet about golf news! Discover what Chronogolf has to offer. From our Tee Sheet to our world popular POS and our online booking, we offer the best solution for managing your golf club. You are a golf course manager or employee ? Take a look at our Knowledge Center. It contains, on articles, white papers, ebook, podcast and other format, a lot of insight on how to improve your golf course. We provide already more than 500 golf courses in the world. See what they are saying about us ! See what plan fit the best for your golf course. 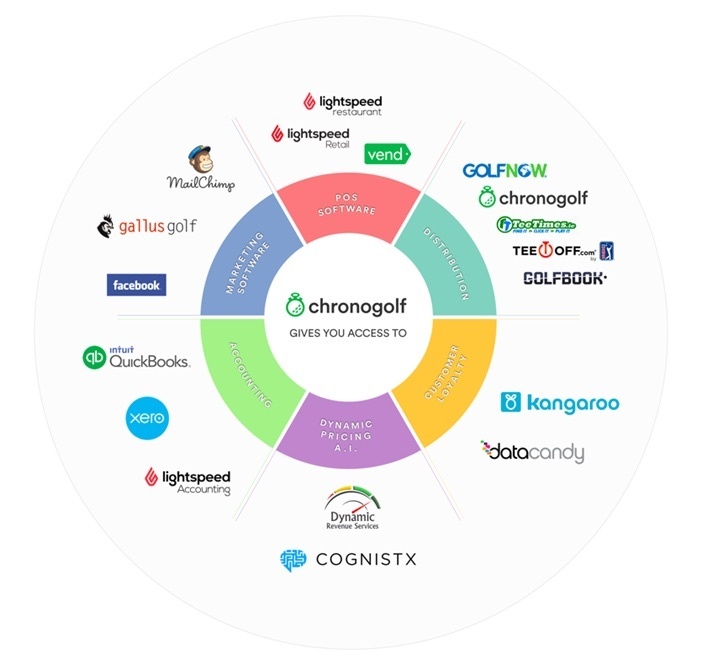 Chronogolf integrate with the best-of-breeds software there is. We are always looking for talent to joins our team. Check out job position, and learn more about chronogolf here! We know running a golf course ain't easy. When times get hectic you'll be thanking yourself for having a solid POS system in place. Having a modern golf point of sale (POS) equals a smoother operation and happy customers, that's why we put together this helpful guide to help you understand what needs a good golf POS will satisfy. Golf has a long and rich tradition that has been important to so many people for centuries. Unfortunately, this long tradition has not always translated into modernization in the pro shop. In fact, many golf courses still use pen a paper to track their daily tee times, and courses who do use computers to manage their operations often find themselves using a buggy, outdated, and expensive tee sheet and golf POS. There are wide range of options available and the differences between each service are substantial. Some golf POS systems run on an expensive server stored directly at the golf course, which are only compatible with certain computers, printers, and accounting software. Modern golf POS systems have an open application program interface (API) which allows best of breed software to easily connect into the POS and help with marketing, accounting, and other aspects of golf management. Since the advent of online marketplaces where tee times are bought and sold, and the popularization of tee time management software, technology usage in the golf industry is becoming increasingly important. There are wide range of solutions that exist, such as cloud-based golf POS systems and club management software. To make the best decision, golf managers need to understand what options best suit their needs. Research has shown that fewer than 1 in 10 new prospects will make a purchase, while more than 6 in 10 existing customers will buy again. As a result, today’s leading marketers are no longer sending out generic email blasts, instead they’re “crafting consumer conversations.” Billions of emails are sent each day, so if you're looking to cut through all that noise, you need to engage with individual customers. The best golf POS should get with the times and send relevant communications tailored to your customers’ preferences. The email addresses you collect should be stored into a database, which you can then segment into groups that can be targeted with specialized messages. This kind of tailored marketing will allow you to reach more people in a more meaningful way, increasing the likelihood that someone will choose to make a purchase decision. Systems that use advanced email marketing will allow you to increase your open rates, click rates, and conversions. Gone are the days of wasting your time sending out emails that no one will open, you can now drive much more revenue to your course. Your golf management system should connect to your social media channels. That way, you can get the word out about any deals or promo codes you create right from the tee sheet. This feature allows you to react to fluctuations in occupancy rates in real time. You'll be able to fill out your tee sheets on less busy days, turning your losses into gains. Social media is the ideal channel for these kinds of messages, as they allow for a quick dissemination of information, without crowding your customers' inboxes. Studies have shown that retailers can lose up to 14% of customers due to products being out-of-stock. The worst part is that these losses can be completely avoided by getting rid of outdated methods for tracking inventory. You no longer need to manually count out every box of balls and pair of pants that you have in-store, all of this information will automatically be tracked, stored, and reported by your POS. Systems that track inventory in real-time will be able to give you actionable reports into which products are selling best, and which products your customer base doesn't want. You'll also receive notifications when the stock level of an item is running low so that you can place a purchase order. You'll be able to manage your pro shop in a much more sophisticated way, while reducing the headache of running an efficient operation. It can be difficult to know which of your staff members are performing best without being on the pro shop floor. However, if you're spending your time watching over employees, you're not focusing on improving customer experience, marketing, and profitability. As a golf manager, you should be putting your attention into big picture tasks, and not into the tiny details of day-to-day operations. Your POS system needs to be able to track employee hours, sales, and performance all in one place. Know exactly which employees are best by tracking sales performance numbers recorded directly in the POS. You'll be able to level your top-performers by figuring out what they do best, and using them to teach any workers that are struggling to make sales. Before you start shopping around, you'll need a good understanding of what different golf course POS systems are offering. Take a look at this check list to better understand the features you are looking for. We take your suggestions seriously! You have a had the chance to get a picture of what the best golf course point of sale system on the market looks like, it's time to evaluate your alternatives and make an important decision. These days, it's so important for your golf course to be modern, up to date, and ready to serve the young generation while being user friendly enough for older players. Of course, you know your golf course's needs better than anyone else but, you need to make sure you have the best information available in order to choose the best option. 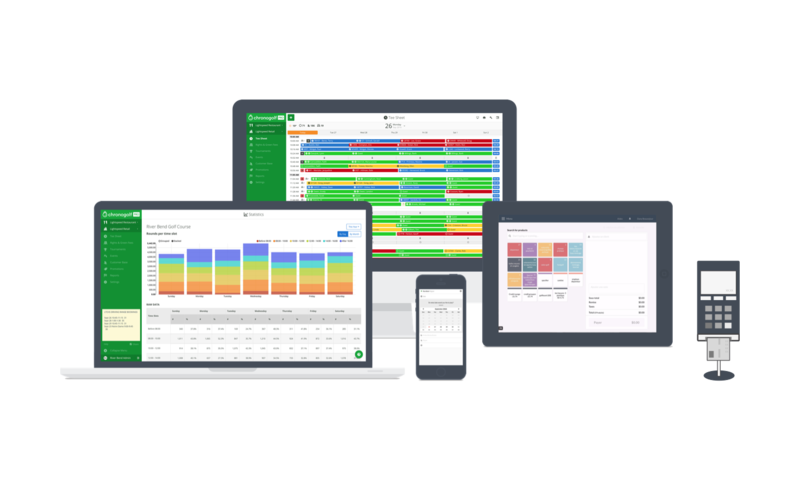 Book a demonstration of the software we are sure suits your needs best, Chronogolf is offering a no pressure, no commitment opportunity to see our software in action. See how the fastest growing golf management software can help your facility. Watch a quick video showcasing some of our most popular features that our customers can’t live without. 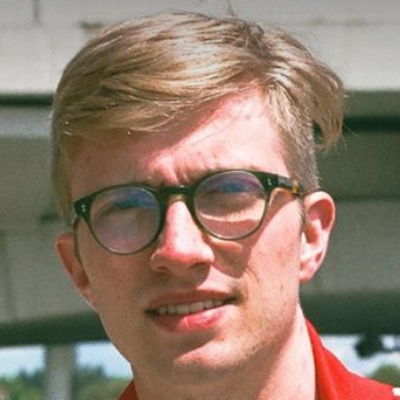 Worried about the price? Fill this form and we'll get to you quickly! Have one of our account manager call you back in a day!